Stoned Sheep behaving baaadly, high are ewe?? 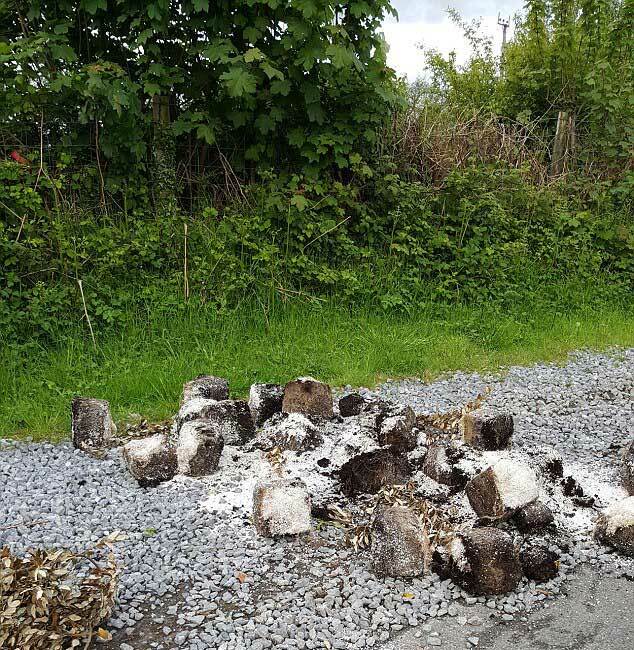 Stoned Sheep reek havoc in quiet little Welsh village! In a peaceful little village in wales, a group of sheep began to go on a wild rampage. The normally "sheepish" went a little crazy and begun to cause havoc in the little Welsh village. It began as just a run of the mill day for the sheep in the field until some bright spark decided it would be a good idea to fly tip their cannabis plants in the field which the sheep were grazing. Allegedly the sheep ate the cannabis plants which had been dumped and then gone on a psychotic rampage in the little village. The village of Rhydypandy usually didn’t see much in the way of action but on this day they were off quite surprised to find the sheep acting nutty! The locals have said that sheep were just roaming around the village causing all sorts of problems. The county councillor loan Richard said that the sheep were breaking into homes and also sadly getting killed by passing cars while they were in the daze. "One even entered a bungalow and left a mess in the bedroom"
Mr Richard said: 'There is a flock of sheep roaming the village causing a nuisance. The locals are now concerned that the rest of the flock could discover the dumped class B drug and then begin to do the same to their village. Richard said he has been waging a war on people who have been fly tipping on the countryside in this area and has said that the cannabis remains had been spotted by cross roads above Salem Chapel near Rhydypandy and that there had been some instances of sheep straying the road into a neighbouring village and been killed or injured. A spokesman for the Swansea Council had told us that it has acted swiftly to clean up the remains of the cannabis. He added: 'We made the police aware of this incident as soon as it was reported and arranged a site visit together. Did any of you witness this or have a story to tell about it? If so, we would love to hear all about it.